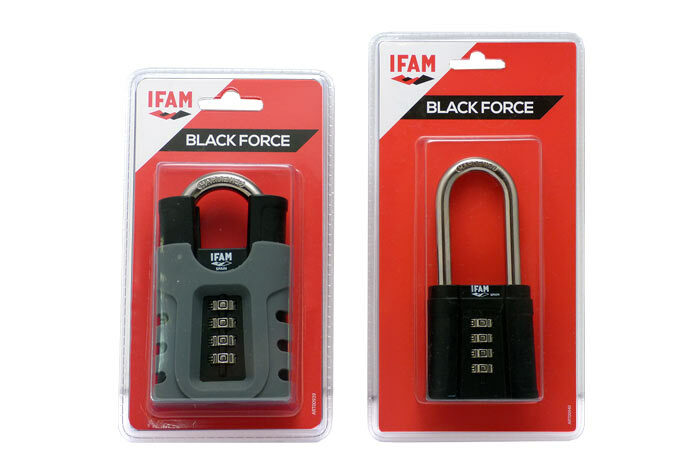 The IFAM Black Force combination padlock provide a high level of security. These models have a sturdy body with high shock resistance, hardened steel shackle (also available with protection for shear and lever attacks) and double locking system with high tensile strength. 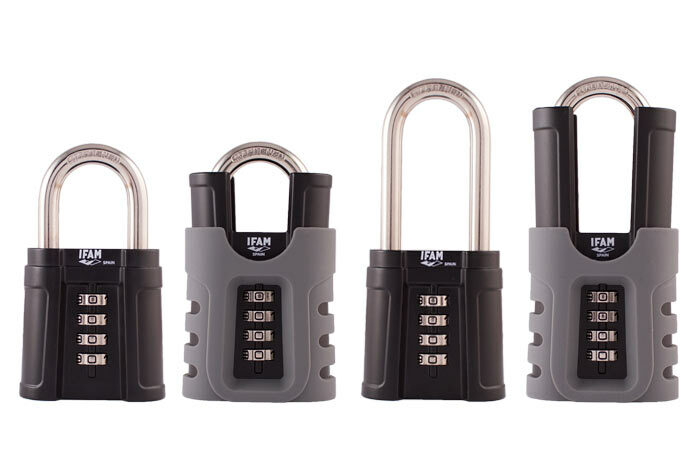 In addition, you can choose between 10,000 differs to set up your padlocks’ combination. – Double anchoring system of the body with through axle that avoids the padlock’s opening by striking. Shackle: – Made of hardened steel. 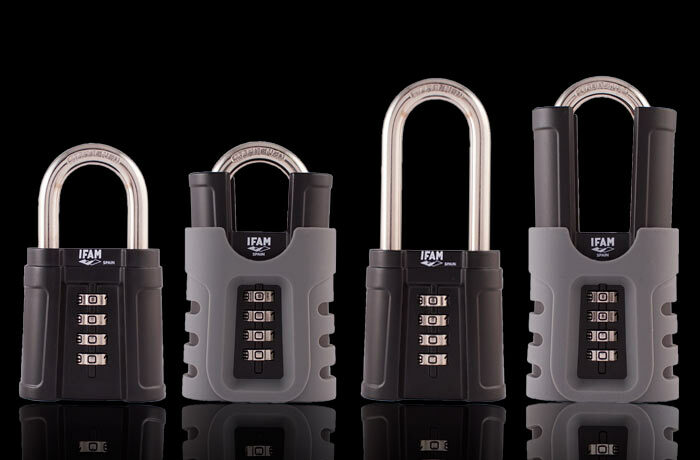 – 4 models available: standard shackle, long shackle, protected standard shackle and protected long shackle. Opening / Closing: – 10-digit 4-dial combination (10.000 differs to choose). 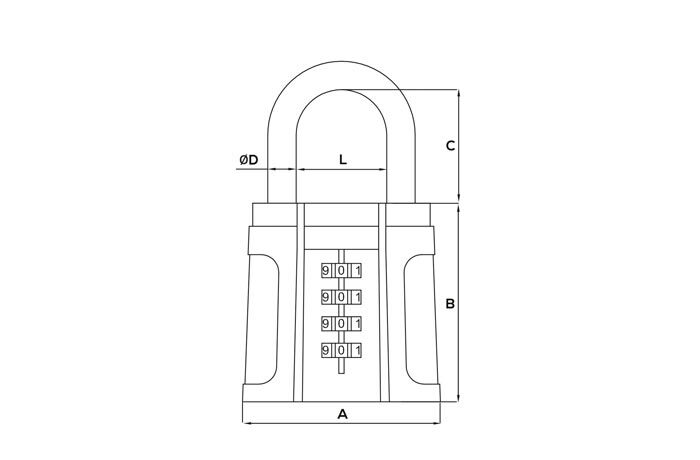 – Double locking system with high tensile strength. 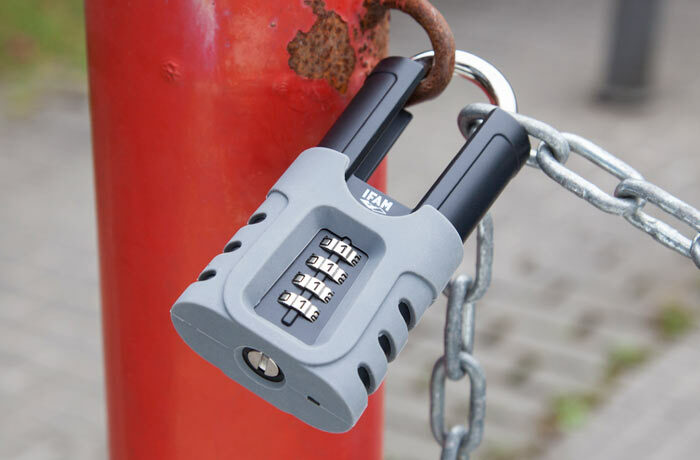 Other features: -Available with or without a silicone cover to protect the padlock itself and the area it protects. The cover is supplied with the protected shackle models. – Ideal for outdoor use, due to a special rust proof treatment.